And so we return to where it all began, just a few months ago, and while the drivers are the same, other than the odd new tattoo and the even odder new haircut, it is the cars that are truly different. The start of the European season marks the start proper of the arms race that is updates, as teams try all manner of new ideas to either extend the gap to the opposition or close it. 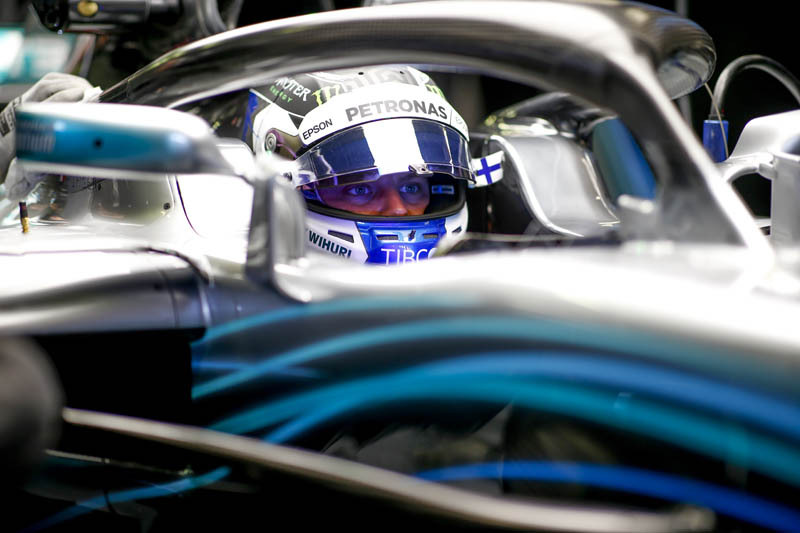 Having admitted that he is punching below his weight, Lewis Hamilton will be looking for a strong weekend, while Max Verstappen will be happy to get to Sunday night incident-free. With Force India and Renault breathing down its neck McLaren has to pull something out of the bag and stop relying on Fernando Alonso's exploits in WEC or whatever. To this end the Woking outfit has brought a controversial new nose to Spain, though with its three ducts is more of a snout. Whether it does the trick or not remains to be seen, but surely it is a little worrying that Alonso is already admitting that he hopes rival teams updates prove disappointing. Over the course of the weekend more updates will appear and we are assured that by the end of it we will know the true 2018 pecking order, then again weren't we told that at the end of pre-season testing. This weekend, now that the teams are back in Europe, and thereby closer to their respective HQs, also marks the return of the reserve driver, and there is one driver on duty this morning who is sure to attract plenty of attention. Taking part in his first GP practice session since Abu Dhabi 2010 the Pole will be out to prove himself all over again, and is sure to be watched anxiously by Sergey Sirotkin. Of course, only yesterday it was revealed that Williams is the third driver to lose its technical boss / designer in as many weeks. While the cars are different from pre-season testing, the track has changed since last year's race having been completely resurfaced. This has led to fears that it will prove slippery in warmer conditions and even worse should it rain... or snow, as was the case in March. With that in mind it is worth noting that rain is expected sometime on Sunday. Ahead of this morning's session, the air temperature is 19 degrees C, while the track temperature is 31 degrees. As ever, don't worry about time in this session, this is about testing the various updates and also looking at reliability. The lights go green and Alonso leads the way, followed by Ericsson, Vandoorne, Hulkenberg, Leclerc and Sainz. In no time at all there are 12 cars on track. Kubica is among the early risers. Raikkonen heads out, his Ferrari sporting mirrors on its Halo, which to all intents and purposes is beginning to look like an aero device. Ricciardo is already complaining about traffic. As will be the case for most over the next eighty or so minutes, Sainz makes a pit stop to change noses as Renault carries out back-to-back trials. Today is one of those days when shareholders in the companies that manufacture flo-vis or those gate-like sensors will be rubbing their hands in glee. Following a brief lull, Vandoorne and Ocon get proceedings underway again. The Belgian posts the first time of the weekend, stopping the clock at 1:22.529. Moments later Ocon responds with a 22.592. Alonso posts 22.226 but no sooner has he crossed the line than Raikkonen posts 20.336. A 24.278 sees Kubica go fifth... of five. "As usual, this session is all about fact-finding and installation rather than any serious work," says Pirelli. 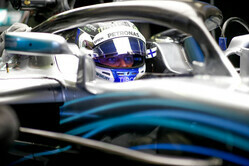 "P2 tends to be a much more representative session of qualifying and the race. Provided it doesn't rain. A few drivers venturing out on the supersoft now." Indeed, Kubica was the first to try the red-banded rubber, the Pole backing off in the final sector. Alonso is advised that both he and Vandoorne are losing out to the wind in T13. Raikkonen improves to 2.262 and Kubica 23.386, while Stroll posts 24.077. Twenty minutes in and the Mercedes duo finally appear. Verstappen is currently the only no-show. Vettel goes fourth (21.195), ahead of Ocon, Kubica, Grosjean and Stroll. As Hamilton posts his first time of the day - a 20.700 to go third - Vettel spins off at T13 while Bottas is off at T10. Prior to that, the Finn had been quickest in the opening two sectors. Currently splitting Raikkonen and Hamilton is Alonso on 20.535. As Perez goes seventh (21.794), Ericsson spins at T12. The spins appear to be a combination of the wind and the slippery track surface. Leclerc is warned that his team has no telemetry. Hartley heads off through the grave at T4, the Kiwi the latest to discover just how difficult the conditions are. "Do we have any major car damage?" Hartley is aske following his off. "I don't think so but we have a lot of stones," he replies. An 18.703 sees Bottas go quickest with Hamilton (18.997) making it a Mercedes 1-2. Kubica has slipped to 17th, just one place ahead of his Williams teammate. The Pole has completed 10 laps and Stroll 7. No doubt, even though he last raced under the old formula, Kubica is handing some valuable data back to the team. No sooner has Verstappen claimed third (20.140), than he is leapfrogged by Vettel who posts 19.900. As Grosjean goes off at T7, Bottas takes a very bumpy ride over the kerbs at the chicane. As Verstappen has a moment which require full exploration of the track limits, Grosjean warns: "I think I'm going to box, I think there is a problem with the car." Ricciardo is off and has clouted the barriers at T4, his session is over. Replay shows he had little say in the matter. The Australian had just gone third with a 19.871 and, like Grosjean and Hartley was struggling for grip. The VSC is deployed and moments later withdrawn. All of which is timed very neatly for it fits in with the pint at which the extra set of tyres are handed back. Williams is fitting a new floor to Kubica's car, by which we mean 'the new floor'. It would appear that the Grove outfit is not only assessing its updates but also its Polish reserve driver. Currently, it's: Bottas, Hamilton, Ricciardo, Vettel, Alonso, Verstappen, Raikkonen, Gasly, Vandoorne and Magnussen. As ever, Alonso is proving to be the fly in the ointment. Perez gets things underway again, the Mexican on the medium rubber. He is followed by Bottas. Looking set to improve, Gasly's lap is ruined when he comes across a slow Sainz in S3 causing him to abandon the lap. In the Ferrari garage, the floor is being changed on Raikkonen's car, one of the many updates to the SF-71H here this weekend. "It's unbelievable how bad the balance is," complains Stroll. "This tyre is like in winter testing, there's no grip," says Hulkenberg. Check out our Friday gallery from Barcelona, here. Never mind the rain in Spain, what of the aero? "Are there any pictures of the new body work on Mclaren and Red Bull?? Everyone has spoken endlessly about them, first practice has happened and there are no pics anywhere on the Internet??"